Repair wear. Hydrate and heal your wrinkles. Up to 45% reduction in wrinkle depth within 60 days! This light-as-a-cloud moisturizer naturally plumps skin with vital hydration, but the true innovation is how it reverses skin damage – by tricking your brain into thinking your wrinkles are wounds. A high concentration of advanced peptides signals your skin's wound-healing response to stimulate collagen and elastin production and, yes…Heal. Your. Wrinkles. Skin is lifted, firmer and wrinkles are diminished. Apply to face and neck morning and evening. Water (Aqua), Squlane, Petrolatum, Stearic Acid, Polysorbate 60, Cetearyl Alcohol, Ethylhexyl Palmitate, Dimethicone, Butylene Glycol, Cetyl Alcohol, Magnesium Aluminum Silicate, Macadamia Ternifolia Nut Oil, Palmitoyl Oligopeptide, Palmitoyl Tetrapeptide-7, Acetyl Dipeptide-1 Acetyl Ester, Corylus Avellana (Hazel) Seed Oil, Tocopheryl Acetate, Cucumis Stivus (Cucumber) Oil, Glycerin, Polysorbate 20, Laureth-3, Carbomer, Hydroxyethycellulose, Phenoxyethanol, 1, 2-hexanediol, Caprylyl Glycol, Triethanolamine, Disodium EDTA. 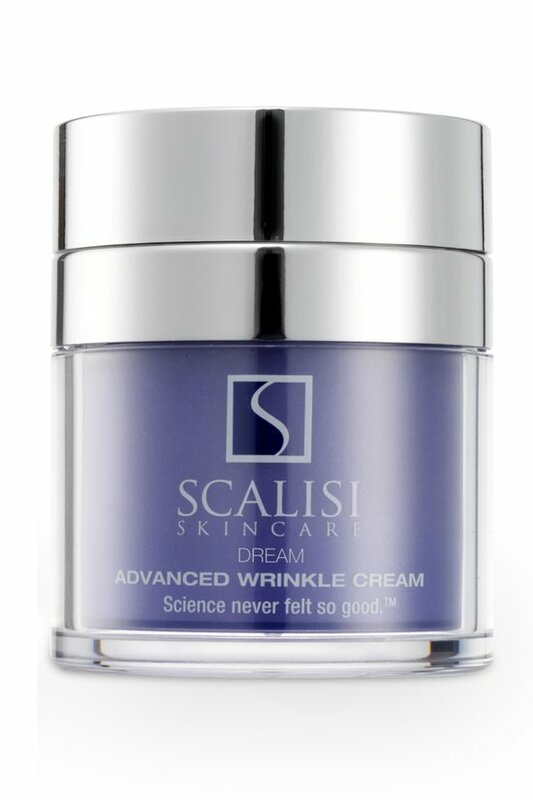 Scalisi's naturally scientific skincare pairs innovation with natural ingredients to deliver a luxurious collection that is safe, non-toxic and really works. A proprietary blend of active peptides, protein inhibitors, anti-inflammatory agents, botanicals and vitamins tricks the brain into thinking that a wrinkle is a wound. The body responds by engaging your natural self-repair function to heal your wrinkles - leaving your skin plumped, lifted, glowing...years younger.